Stephen Ministry is a confidential lay ministry that provides distinctively Christian one-on-one care to those who are experiencing all kinds of life needs and circumstances, both in our congregation and community. A caring friend who really listens and will keep everything confidential. Stephen Ministers are available each Sunday morning following our Anona Campus Services. If you, or someone you know needs a Stephen Minister you may contact Stephen Leaders: Clara Wehrfritz, 463-1767 or call the church office at 727-595-2581, ext. 408. If you are looking for grief and end of life care support, please contact Ann Murphy. More information regarding Hospice service is available by visiting the following website: http://www.thehospice.org/. The Prayers and Squares ministry has had a tremendous impact on many people over the years. 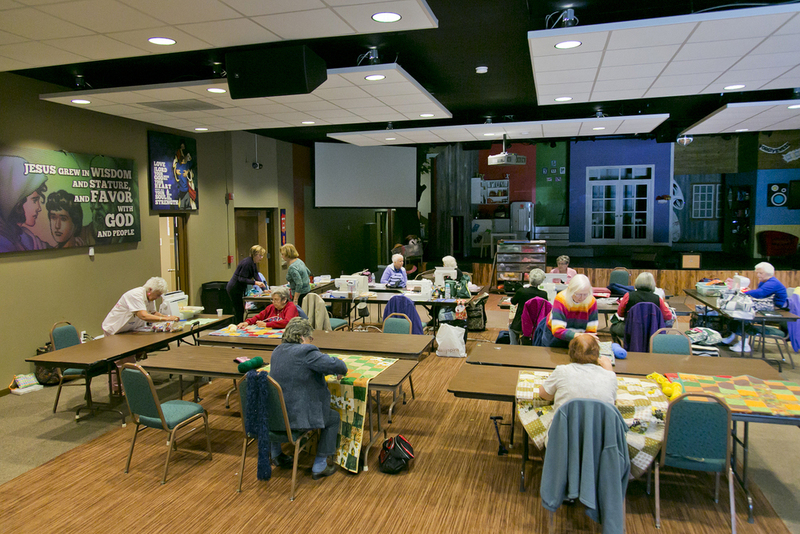 This ministry has now provided more than 2000 prayer quilts to people struggling with illness. Each quilt is lovingly hand-made and enfolded in the prayers of our entire congregation as we join together on Sunday mornings to tie a knot on the quilt and say a prayer on behalf of each recipient. If you are interested in participating in this ministry, contact JoAnne Sullivan or Pat Juds. 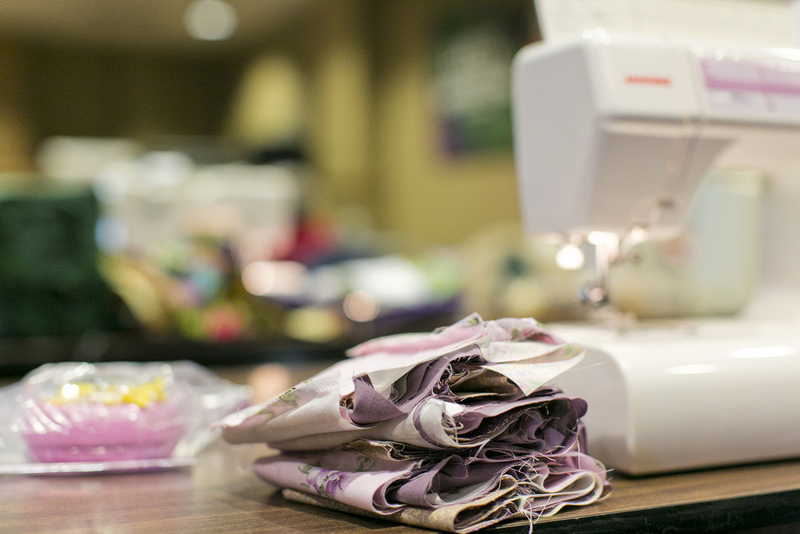 Sew n'Sews meet on Wednesdays in Wesley Hall at 10:30am, no sewing experience required. The Anona United Methodist Church Prayer Chain is composed of church members who pray daily for those requesting prayers for themselves and others. Requests are kept confidential unless otherwise specified. We ask for the name and phone number (or email address) of those asking for prayer in order to clarify and/or follow-up with a request. Prayer requests may be submitted to the Prayer Chain leader Shirley Magness using the form below, or to any member of the Prayer Chain.